As far as the Philadelphia Eagles are concerned, enough is enough. Good just wont suffice anymore. No more failures, no more let downs, no more heartbreak for one of the most passionate fan-bases in all of pro sports. 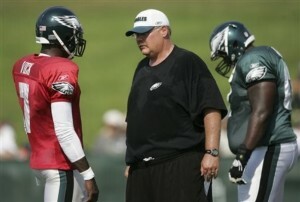 The Eagles are in it to win it in 2011. This notion was never more evident than when they convinced the biggest prize on the free agent market to call South Philadelphia home for the foreseeable future. The Eagles shocked the professional football world last Friday when they agreed to terms with free agent cornerback Nnamdi Asomugha on a 5-year, $60 million contract and formed the scariest defensive back core in the entire NFL. The signing instantly legitimizes a defense that was among the league’s worst in pass defense and red zone defense during the 2010 season. He and the other free agent signings could potentially put the Birds over the hump. But, as of right now that’s all it is: potential. Don’t jump the gun just yet, Philadelphia. Eagles fans need to face facts and realize that the Birds are not the team beat just yet. They aren’t even the team to beat in the NFC. As mentioned above, the Asomugha signing makes the Eagles remarkably better than they were last season. Though the defense is much improved, there are still holes that can be exploited. To their credit, the Eagles have insured the defensive line and the cornerback position but the Birds still desperately need an established presence at linebacker. Are you really comfortable with Akeem Jordan, Casey Matthews, Jamar Chaney and Moise Fokou as your linebackers? Me neither. This isn’t to say they aren’t capable of performing well, but teams will key in and try to take advantage of that inexperience at one of football’s most important positions. 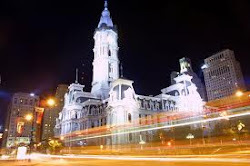 Philadelphia could also use an established presence at safety. The departure of the steady and solid Quintin Mikell has left a bit of a void at the position. Right now, we are looking at a pair of second year players, Kurt Coleman and Nate Allen, as our safeties. Coleman only had consistent playing time towards the end of last season due to others’ injuries including the serious knee injury that Allen suffered last year at the Meadowlands that abruptly ended his rookie season. This will be another unproven position that opposing offenses will try to take advantage of. Let’s all end the “Dream Team” chatter right now because it is a total crock. There are no “Dream Teams” in the NFL. Yes, the Philadelphia Eagles are an excellent football team. They have a dynamic offense that will certainly light up the scoreboard. Their defense, which still has holes to fill, is much improved and will wreak havoc on opposing offenses. Expectations are always high in a city like Philadelphia. The focus on the Eagles to excel will be as great as it has ever been. National attention will be on the Birds throughout the course of the season. Let’s not put the hype machine into overdrive. If we do and heaven forbid the Birds don’t accomplish the ultimate goal, the heartbreak and pain will be worse than ever imagined. The fact remains that the Green Bay Packers are the team to beat in the NFC. They are the defending Super Bowl Champions and are healthier and scarier now than they were last season. I’m a firm believer in “to be the man, you gotta beat the man” and, right now, the Packers are the man. Philadelphia, let’s not count our chickens before they hatch. Just because we are the “offseason champions” doesn’t mean we have won anything yet and it won’t put a ring on our finger. One thing is for sure though; this is going to be an exciting football season and a hell of a lot of fun to watch. I personally can’t wait.